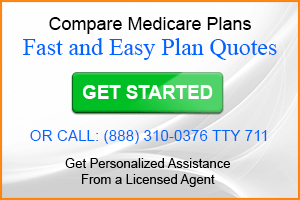 If you are like most people you want the best Medicare plan for the least amount of money. But all Medicare plans seem to have some inherent limitations and Medigap Plan F is no different. Whether you choose to stay with original Medicare, purchase a Medicare supplement or enroll in a Medicare Advantage plan, you are going to be faced with either limitations of coverage or out-of-pocket expenses. If you are interested in buying a Medicare supplement, Plan F is by far the most comprehensive and will pay more of your share of expenses for Medicare covered services than any other plan. But herein lies the nature of Medigap Plan F limitations. A Medigap policy, otherwise known as a Medicare supplement, fills in the gaps of expenses that would normally be your responsibility. Expenses are paid based on which of the 10 standardized policies you own. The more comprehensive the greater the premiums. Although some plans such as AARP Medigap Plan F may offer some extra benefits, these are often limited and outside the scope of Medicare coverage. Following is a discussion of why Medigap Plan F is still your best option, what is not covered by the plan and what steps you can take to obtain the missing coverage. Most people choose either a Medicare Advantage plan or a Medigap policy due to the potential for high out-of-pocket costs associated with original Medicare. High hospital deductibles and the required 20% coinsurance for outpatient procedures and doctor visits can often add up to much more than annual premiums for either Medicare Advantage or Medigap policies. The first reason then to choose a Medigap policy such as Plan F is to avoid uncertain costs associated with original Medicare. Of course monthly premiums for Medigap policies can increase each year, but at least you are able to have more certainty as it relates to your annual costs. The second reason why more people choose plan F over other plans is because it is the most comprehensive. If your budget is such that you can afford premiums for a Medicare supplement policy, you more than likely want the best coverage to eliminate any future hassle and uncertainty as to what is covered and what is not covered. The third reason why Medigap Plan F is the most popular is because more companies routinely offer that plan. For example, more insurance companies include Plan F in their portfolio than Medicare supplement Plan N, which is a good alternative to a Medicare Advantage plan. If you are interested in getting quotes on Plan F from several competing companies visit the EHealthInsurance website to compare all available plans. Many people mistakenly believe that all Medicare plans will include benefits often found in Medicare Advantage plans. One reason that people enroll in an Advantage plan is to receive extra benefits such as vision, dental or gym memberships. But a Medigap policy will only fill the gaps of original Medicare. The gaps are financial not service related. So unless you are receiving some membership related benefits such as with AARP, don’t count on having dental or vision coverage with a Medigap policy. Those are the most popular assumptions and are not intended to be a comprehensive list. Remember, with a Medicare supplement, if a service is not covered by original Medicare, you will receive no benefit from your Medicare supplement… Plan F or otherwise. spend-down so you can qualify for Medicaid. You could also consider a supplemental insurance policy for dental and vision services. But before you do, add up the costs. Many plans have high premiums because they know that you are buying that type of insurance to use it. It’s not like auto insurance where you never hope to use it. Subsequently, deductibles, waiting periods and the possibility of increasing premiums can make these policies seem more like prepaid arrangements. For some services such as dental, hearing, acupuncture and massage you may be able to save some money by receiving those services from students enrolled in a professional school. Many professions require students to complete clinical hours to receive their degree. If you are in the position to pay cash, it pays to shop and make offers for services. The medical professionals would like to create the illusion that their practice is separate from their earning a living and competing with other practitioners, but that is not the case. 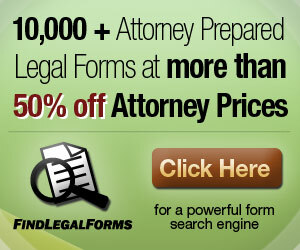 Ask for the same price that an insurance company would pay for the procedure. It’s normally 30-50% less than retail. The last option is for people who really shouldn’t be insured through Plan F due to their budget being maxed out. If you are struggling to pay your premiums and can’t pay for the extra services that you need, you are fighting a losing battle. Your premiums will probably increase faster than any cost of living adjustments you may see in the future. Consider enrolling in a Medicare Advantage plan. There are many available with a $0 monthly premium. Just be sure you understand the enrollment guidelines. The best thing you can do is plan for the future. If you choose to buy Medigap plan F, you should recognize its limitations and create a budget to address your future needs. By doing so you can rest assured that you have all your bases covered. Thank you I am just looking. Liane, You have 4 options: 1. Insure with only original Medicare and be subject to the 20% out-of-pocket costs and hospital deductibles. 2. Shop for a Medicare supplement (Medigap). 3. Enroll in a Medicare Advantage Plan. 4. Figure out how to make the $352 fit with your budget. 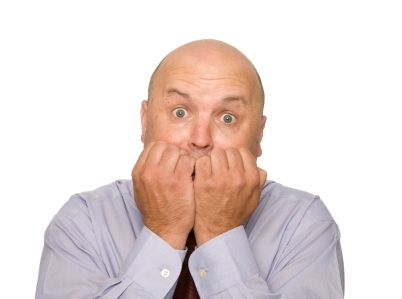 Option 1 could leave you worse off than trying to keep your NY State employee insurance. Option 2 would most likely cost as much or more than your current situation. Option 3 would potentially save you money. There are often $0 premium plans available but you will have deductibles and co-pays. Part D is often included with a Medicare Advantage Plan. Plans vary widely and you should compare plans closely. Option 4 is off the table based on your situation. PlanPresiber is a service that compares all plans and guides you through the enrollment process. You can speak with a licensed agent in your State by calling (888) 310-0376 during normal business hours. Another option would be to meet with a local agent that represents more than one plan.